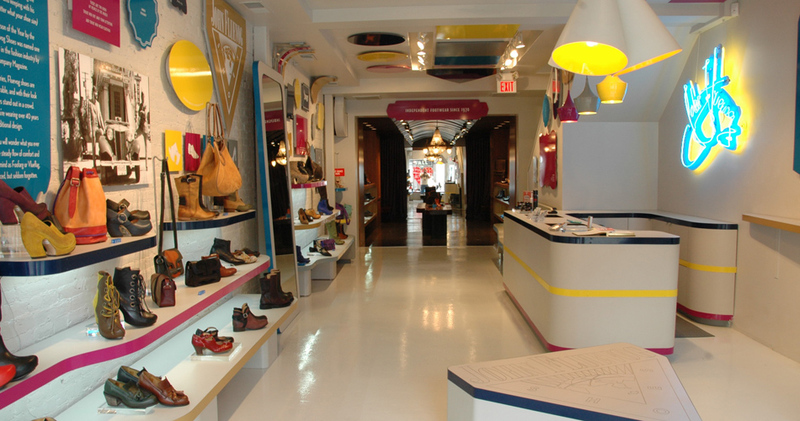 Located at the corner of N St NW and Wisconsin NW in historic Georgetown, John Fluevog Shoes has been serving the good Fluevogers of Washington DC since 2012. 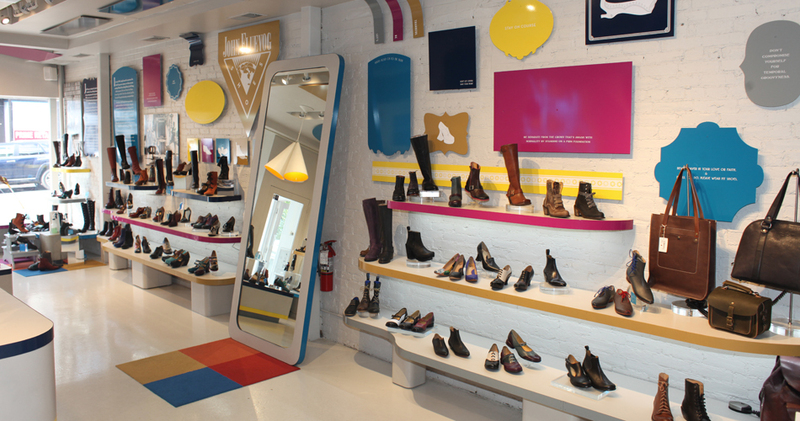 Reflecting John’s positive and bright messages, Fluevog DC is completely Fluevogified with Pop Art inspired Shoe-Art and panels in bright, modern colours creating an interesting juxtaposition with historical Georgetown. 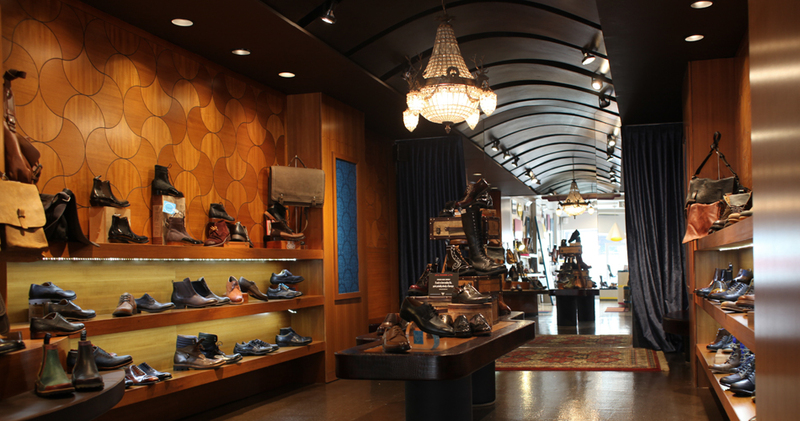 The back room of the retail store, The Mens Department, is outfitted to resemble a classic-70’s lounge with teak wood walls, leather couches, and velvet curtains, perfect for a relaxing shopping experience among the most unique shoes in the World. If you’re in the area, go in and say hello, and try on some shoes.